If you’ve been reading my blogs and read my Clixsense review you will know that I am not fond of pay to click sites. The fact is that it is a lot of effort for little reward right? That may be true but my findings have been interesting here. I’ve got a few issues with pay to click websites. The biggest one being the amount of time spent to earn such a little bit of money and the other problem being that it is mindless work right. So I bet you are wondering why on earth I spent some time on Clixsense during January and I will continue to do so for the next year to come! 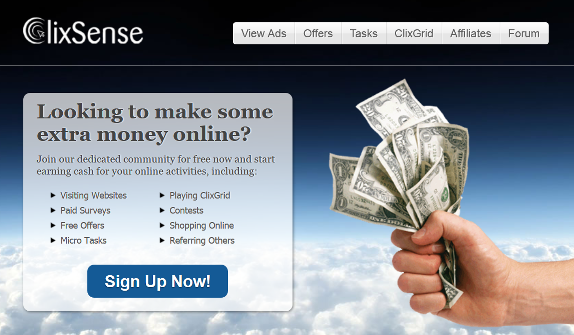 I want to find out how to make money with Clixsense how it works and is it really worth your time? As you will have noticed I am not very nice when it comes to my ratings, click here to read why I love rating opportunities so badly. Before I get into this I just want to explain what the purpose of this post is as opposed to the review I already wrote. You see I usually rate things according to whether I can make a full time income from it and whether it is a viable business opportunity. This post is completely different. I have had some feedback that Clixsense can bring in a decent amount of money, most likely just pocket money true… but perhaps I haven’t given Clixsense enough credit. This is quite simple. You click on ads and earn per ad you have viewed. This has turned out to be the most profitable for me. I’ve earned up to $2 for surveys and they don’t really take very long to fill out. This really varies so I can’t tell you what it would be. It can be playing an online game, signing up to a website, watching videos, downloading applications to your phone… anything really. These also vary a lot, you get paid per task which are little mini jobs. The ones I have done are just verifying information on websites. The tasks are very quick to do but the pay is really low. This is simply a daily competition where you can click on a grid and view websites, each website you view gives you a chance to win some cash. You can win up to $10. This is an opportunity to earn a bonus from your daily activities. If you are a regular user and complete a certain amount of activities you will earn a little bonus. And of course if you refer people you will earn commissions from their earnings and any purchases they make on Clixsense. So why did I not take Clixsense seriously? So here’s the thing. When I did my Clixsense review I spent a couple of days on the website messing around but I honestly never looked at it like a serious opportunity. Yes I admit it, I was biased and I didn’t see Clixsense in a favorable light. I did notice that it was the best pay to click website I have come across and for this reason, and because so many people appear to love it I listed it under my pocket money opportunities on my website. So at the beginning of January 2016 I decided to head back to Clixsense and give it more of a chance. This time not looking at it like a business opportunity, but like a serious pocket money opportunity. Why would I use Clixsense regularly? I asked myself what on earth would motivate me to be a regular user on Clixsense and to take it seriously? Why would I log on there every day and waste my time? Well I need a holiday and so does my family. The problem is it seems every year there are doctors bills, school fees, car repairs… and we just never seem to make it anywhere. Does this sound familiar at all? I’m sure it does, this is a problem most people have. 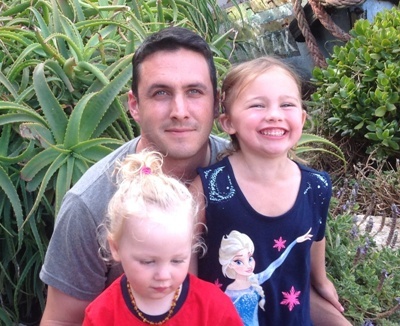 So I want to take my husband, my 4 year old daughter and my 2 year old son away on holiday for at least a week. Not anywhere fancy or far away, just a nice reasonable family holiday. I will use my earnings from Answered Insight too that I use regularly to add to whatever I earn from Clixsense. At the beginning of January my Answered Insight’s earnings was R260 and it is now R280 at the end of January. I had no Clixsense earnings. Yes the earnings at Answered Insight are not much at all but it takes such a little time and I hardly have to do anything so I do enjoy that. Every now and then it is a nice little amount of money to spoil my kids with something. I thought if I can earn R10 000 (appr $625) extra between now and January 2017 we can have a nice comfortable one week holiday. Clixsense How Does it Work? So how did January go with Clixsense? Well I’ve got to admit here that it went quite well. The change of mindset certainly changed how I worked Clixsense and how I perceived this opportunity so it really was a time of personal growth for me too! Ok so here’s what happened. I decided yes I have a goal to make R10 000 (appr $625) in a year with Clixsense, but I don’t want to make it an obsession to make a point that I can do it. I have no doubt I would achieve it, but I would make it the mission of my life which won’t be good at all. I don’t want to spend every waking hour trying to make money on Clixsense, or even a lot of time. This was a good decision and has helped me with this experiment. So my allocated time for Clixsense is first thing in the morning while I have my coffee before I start officially working for the day. So every morning in January I spent about 10 just messing around on Clixsense. I quickly got into a routine of first clicking on all the ads, then checking for surveys, then completing Clixgrid. If I have spent less than 10 minutes doing this I then have a quick look to see what offers and tasks are available. I also downloaded the ClixAddon button so any time a new advert or survey becomes available I get notified immediately. Anyone that has done surveys knows you have to get in there quickly or it won’t be available. So the first few days I only had adverts to view, which was pretty much the same experience I had previously. But after about a week I started getting a few surveys too. I finally started seeing my earnings go up a bit. Suddenly it seems like this is not such a waste of time after all. My little pocket money earnings might just pay for a lovely family holiday! I look forward to sharing more with you. Oh and on that note I don’t promote things I don’t really believe in and that don’t work which is why I never bothered being an affiliate with Clixsense… I have now added affiliate links into my posts because I can see now that this could be a nice pocket money opportunity! So feel free to sign up under me and help us go on holiday! If you do sign up I ask you to please come back to this post soon and let us all know how it worked for you too! Are you signing up, what are your expectations and goals you hope to achieve? Please leave a comment, I would love to hear from you! Affiliate vs Multi Level Marketing: what’s the difference? I’ve considered pay per clicks for some time now but never actually sat down to figure it out. I hear a lot of mixed opinions about it, some people saying it’s not worth it while others swear by it. I guess it’s all a matter of how you utilize it. I’ve never considered Clixsense til now but I feel like I have a more clear idea of it… How much time would you say you spend on it a day? Is it very time consuming? Or is it simple once you get the hang of it? Thanks for sharing this info! I feel I have a much better understand of it now and that I might benefit from a program like this. Thank you! Yes it can be time consuming depending on how you use it. Like sometimes the offers can be very long to do, depending on what you choose to try out. This is why I limit myself to 10 minutes in the morning and the leave it. This way it doesn’t take a big chunk out of my day. Hey I’m just going to try and get savings for a holiday out of it, not earn any sort of income I need to rely on. I think that is maybe the big thing, look at it like pocket money not something to rely on. It does seem the longer you are active the more opportunities you get, especially with regards surveys. I just did a survey today where I earned $0.97 in about 2 minutes. That is not bad really! Personally Pay per click sites always seemed like a waste of valuable time but your review might have convinced me to try it. I don’t promise that I am gonna but now the likelihood has increased. I like your reviews in general because you don’t just say things for the sake of saying, you really mean them. It is a pleasure. Give it a go and see if you like it but I do suggest you follow what I did and only allocate a certain amount of time a day and maybe also make a goal of what you will use the money for, something nice maybe to spoil yourself! This is not a bad thing. So you say you make this kind of money in only 10 minutes a day. What could you do if you let’s say put two hours into this activity? That would be nice. I’m gonna check it out first thing tomorrow morning. Yes that is what everyone is asking me, what if you put in more time… well I think it depends on your circumstances. If you are unemployed but have an internet connection then it won’t hurt you at all to spend a good amount of time on the Clixsense website. But the earnings for your time are really low and of course new offers, surveys and ads to click are not available all the time so it is not like you can sit on their website all day and earn. Some of the offers will take you ages to complete, so if I can earn $0.05 for something that will take me an hour to do I ignore that. However if I had no job and children to feed.. well I would do it because it would add up. I work full time and I have a busy household to run with my children. Spending more than 10 minutes a day is just not viable for me. The other aspect is that it really is mindless work, it is not very fulfilling. I would not enjoy spending more than 10 minutes at a time doing this. Going through your website really fast forwarding me to learning some information I want to do some research about. How much money can you really make from Clixsense, with how much time? This seems like a really actual legitimate job. Its amazing how you can make money online these days. That was quite an interesting review about Clixsense. I hope it works out that you get that holiday you have been craving. Did I read correctly that you spend about 10 minutes per day on Clixsense? What if you spent an hour? Would it be more profitable? I guess that would depend on what else you do on-line each day. Oh and the website layout looks good. Yes that is a good question, what if I spent an hour… well the thing is I just don’t want to spend an hour on Clixsense. It isn’t exactly interesting work and the pay per hour would be really bad. I want to see whether I can spend my 10 minute morning coffee time to earn a holiday. With the ClixAddon I sometimes spend more than 10 minutes per day anyway because if there is something new to do I get a notification and I quickly slip in and do whatever needs to be done. I found this the best way to work it for me. This is simply an experiment with simple goals. Firstly I want to give this a better chance with a more open mind for my readers to get a better insight. I also want to see what happens when I get more referrals, does that make it worthwhile? And yes I have no got 10 referrals from this post so we’ll see… and then of course can I get my holiday paid for? If I can get my holiday paid for by Clixsense every year by spending a few minutes a day on it then hell yes this would be worthwhile for me to carry on! Or pehaps each year I can make a specific goal for my Clixsense earnings like pay off my credit card completely? Or buy a new laptop….. I think that would be much more fun and more measurable. It is important to keep in mind I don’t think this will ever be a full time income opportunity. If I am proved wrong I will be happy to share that. I am interested to see what difference referrals will make and since publishing this post I have 10 referrals. If I get a good number of referrals and some of them put in some effort perhaps it will pay off and hopefully I will get my holiday. I certainly don’t plan on getting rich with Clixsense! I was a member Clixsense some years back and didn’t understand how you make any money on this site but your review has giving me and other the opportunity to look at the site again. Thank you. Give it a go and see what happens for you if you spend just 10 minutes a day for a week or so, then come back and share your experience! I have heard of pay per click websites and always wondered if they would be worth it. I never really even considered something like it before till now. I might just add this to my tool belt and give it a shot. Any recommendations on the best way to go about starting it? Yes I recommend just giving it 10 minutes a day, like I said in my post and then add the ClixAddon button so if anything new comes in during the day you can quickly do that. Give it a bit of time too to build up because I noticed that I only started getting surveys after about a week of daily activity. Plus tasks I only managed to get after 3 weeks! I think maybe Clixsense gives these things to regular users only? Maybe also share your link in some social networks once a week or so, and after a while write a review on your experience so people can join under you. I think that referrals are the way to go, especially for me if I want that holiday. Interesting trial run. I am impressed that you , first decided to give it a second look and two, that you rather changed your viewpoint on clicksense. It’s good that you pointed out all the ways that someone has to make money with this program and I really appreciated that you explaind what you did and how much time you actually spent on it. Letting people know about the little click addon was a very nice thing to add to your review, so that readers know how it is possible to duplicate your experience. Curious what really made you give Clicksense a second glance and would you, or have you, changes the rating you originally gave it? Well I rated it 25/100 previously and yes I think just my experience during the course of January has made me think I should up its rating a bit. What made me change my mind… well I really enjoy reading online about opportunities and what other people do to make money both full time and part time. There were just too many people saying it works and works well so I had to go and give it another look. Now that is what I am talking about! I am a big fan of accumulating funds by using multiple streams of income. As long as you earn some money in an ethical way, I will support you 100%. Although I am also a member of Clixsense, I have never really invested much time into the system. But by reading this new clixsense post, I have now gotten some new motivation to clix around when do have some spare time. As you might know, I spend most of my time monetizing my websites as often as I can. Clixsense is still recommended even thought it may take a bit more time to make a buck or two. Thanks for sharing your experience Lynne. I will take your advice and possibly make some money from Clixsense to take a vacations soon! I would say give it a few minutes a day and see if it builds up nicely for you. I do think it might actually pay off a bit over time. Please come back and share your experience with Clixsense once you have played around a bit, I would be very interested to know how it works out for you. I used to just mess about and waste time first thing in the morning, normally check facebook or something mundane — so, actually this would be a good idea for me to do with my morning coffee too. I might check it out later. Thanks! Yip that is exactly my thinking, take time that is not being used much anyway and see what happens with it. For me it has worked out nicely. There are always going to be companies like Clixsense for as long as there is the internet. Some of them are just flat out scams and some of them are 110% legit. There will always be programs like this where you can make a little extra money. But, it’s good to know that if you want to invest your time you can get some ROI on it. $625 isn’t really a bad little extra money, but like all of these types of things you need to get in them quickly or the offers will expire. Just food for thought though, might want to consider reinvesting that money into your online business. That $625 could help make you more money in the long run. I’ve always used these types of websites to help me save up for whatever it is I need at the time. Even to this day. I’ve earned over Â£50 from doing surveys in the last 6 months, maybe even less! I only do a survey or two a day. I use the sites Superpay . me and Rewarding Ways. I might give ClixSense a try. It sounds like a half decent way of getting that little cash boost! Yes if you enjoy doing surveys and I think keep in mind (like you do) that it is for a little extra then I think it will work nicely for you. If you join please let me know what your experience is! Thanks for your input, it is great to get some insight from someone that uses these websites. I am happy to work hard for the right returns! I’m still not sure that this would be worth the amount of effort as a real supplement to income or as a stand alone way to make money online? 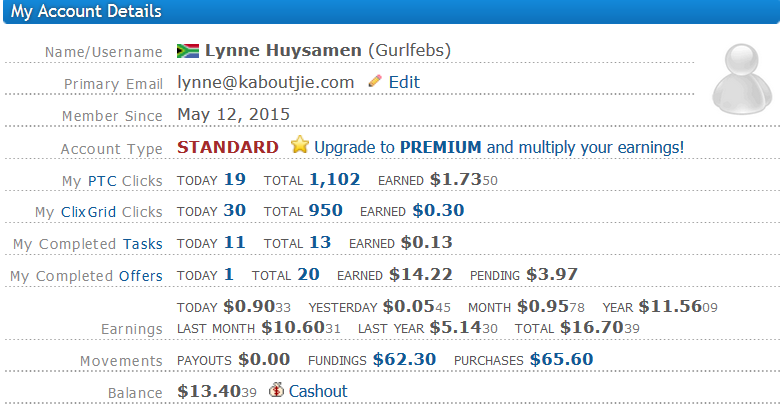 Lynne I must say that I find your post very honest anyone reading this will surely get a clear picture about what he can get from clixsense. After reading this I am now aware that my earnings if I opt for clixsense will highly depend on consistency..it needs a lot of patience to cling to such sites but, you have really made a good use of it with appropriate goals. Like Natalie I too find that morning coffee idea awesome..thank you! Yeah it really does need a little dedication applied for a while before you can see anything happening here. I am still not sure how well this will work out, but in the name of research I will plod along and give you all a very clear picture of how to work Clixsense or perhaps why you should leave it alone. I’ll give it one year and then see what the results are. I was quite skeptical at first about this. But the more i read your page the more i thought to myself, you know what i might give this a go. You have done a really good job talking the viewer through this, almost step by step if you like. With more people looking into earning passive income online these days, it is definitely important to have more of these reviews. I too have always wondered if it is really worth looking into all these options that you have pointed out in your article. The biggest fear is always about thinking if it is a scam. Well that is the interesting thing, all the other pay to click websites I have come across so far come across to me as scammy! But for some reason Clixsense is appealing to me more and more…. watch my website for updates. I haven’t made much yet with Clixsense but I think as with any legitimate opportunity, this might take some time to build up. This is an interesting way to look at this website. Like you, I don’t like PTC sites. I have spent a lot of time on scam website, or websites that don’t pay enough to make anything worth while. Based on this post, i may just give it a go if i can manage to spare a few minutes every morning. If you completed every offer every day, how much do you think you could make? Well I don’t complete all the offers because a lot of them are for downloading apps to your phone. I don’t like to do this with my phone! I think the amount you can earn really does depend on your area, what you are willing to complete and of course whether you decide to go for getting referrals or not. This clixsense thing sounds pretty inviting, but I always ask myself the following. When you are clicking and registering constantly on all those advertisement links, do they sometimes install advertisement plug-ins or stuff like that? I try to keep my computer clean and the stuff I sometimes see when I visit family or friends. Some of them have all kinds of bloatware onto their computers because they click on anything they see on the internet. You mentioned your goal is approx. $625 in 12 months. To reach that goal you would have to get to an average monthly income of $50. Do you think that in the next months you can increase your income? Do more profitable opportunities come by when you are longer in the program? Yes $50 per month is the goal and I hope to build up to that amount per month. This of course will mean I need more referrals. There is a limited amount of tasks/ offers/ ads to click and with the tasks for example there are very few available for new users. The more tasks you complete the higher your trust and you will then get more tasks to complete. I also noticed that I now seem to get more surveys and I think for the first week I didn’t get any surveys. So yes I think the longer you are a member the better your chances of earning. Regarding things being loaded on your computer, I haven’t seen anything strange being installed. I don’t like a lot of the offers though by the way… because a lot of them are for installing applications on your phone. Not my thing so I don’t do any of those! Hi Lynne! I have read your article about Clixsense with interest and I think that you have explained it very well. 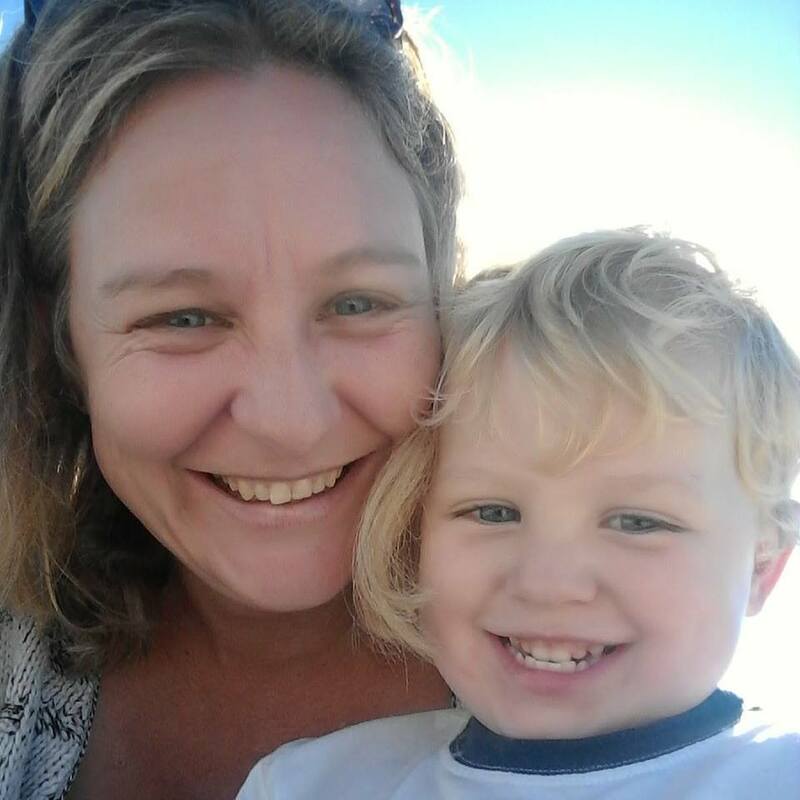 I am not sure that I could earn enough for a family holiday myself, but I certainly wish you well in your goal and I hope you achieve it. I think that there is money to be made from this site, and even if it is not a great amount, there are small rewards to be had for sure. Thanks for sharing it! Thank you! I hope to just pay for a family holiday just to see if I can do it and then I will concentrate on bigger things than this… that is unless of course it turns out to be as profitable as some people claim it can be. I have never heard of this site before. I have tried out a similar site called swagbucks, which is a pocket change opportunity. i like how you set yourself a goal to achieve, makes me want to do that lol. but very good article! Glad you enjoyed it. It is going really well, I have just upgraded to a premium account… so we’ll see what happens.